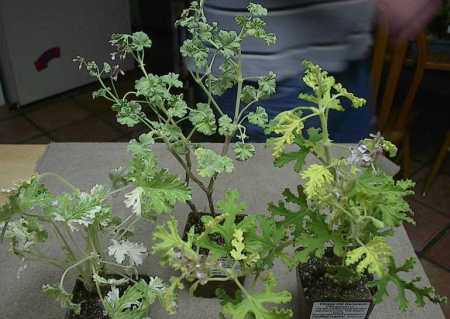 This is the final group of new scented geraniums from Mountain Valley Growers. P. ‘Peacock’ – Crazy splashes of cream varigation. Peacock is a rose scented geranium. 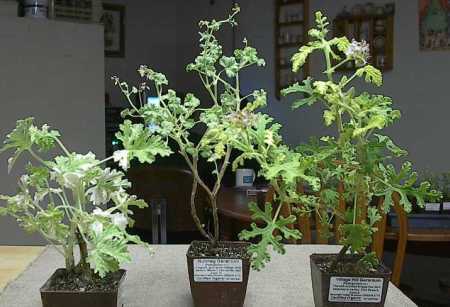 P. x fragrans – The nutmeg scented geranium is charming with small white flowers and soft grey-green leaves. P. ‘Village Hill Oak’ – This is a robust plant with cute pink flowers. It is oak scented and the leaves have kind of an oak leaf look.